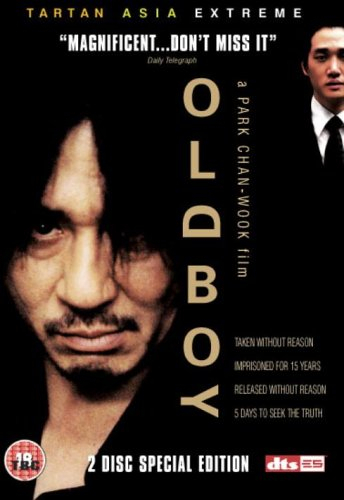 Dark, vibrant revenge thriller by Korean director Park Chan-Wook. Oh Dae-Su (Choi Min-Sik) has never taken his role as husband and father seriously and has just been released from police custody for drunk and disorderly behaviour on his baby daughter's birthday. When he finds himself in solitary confinement in a prison cell after being mysteriously abducted on the street, he has no idea what is going on or why. A year into his imprisonment, he learns from the small television in his cell that his wife is dead, and that he himself is suspected of the crime. When, fifteen years later, he is released as suddenly and inexplicably as he was detained, he is determined to track down his tormentors and wreak his revenge.